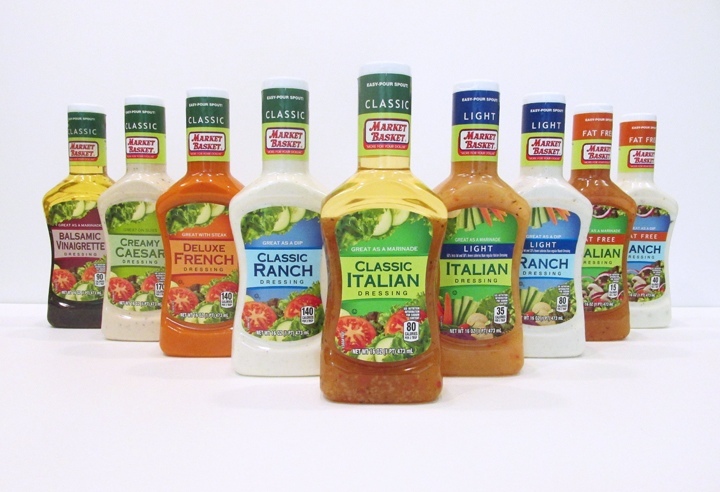 Refresh the salad dressing line with new, upscale bottle graphics. Imagery: Differentiate dressing types via color coding, illustrations and nomenclature. Overall: Bottle structure and graphics that compete with national brands.